We are advanced trained storm spotters. We are NOT METEOROLOGISTS, nor do we play ones on the Web. We simply help echo NWSNashville’s weather information that specifically applies to Dickson County. We will mainly be posting daily updates here, while our Twitter account (@DicksonSevereWx) is more for in-the-moment and urgent information. 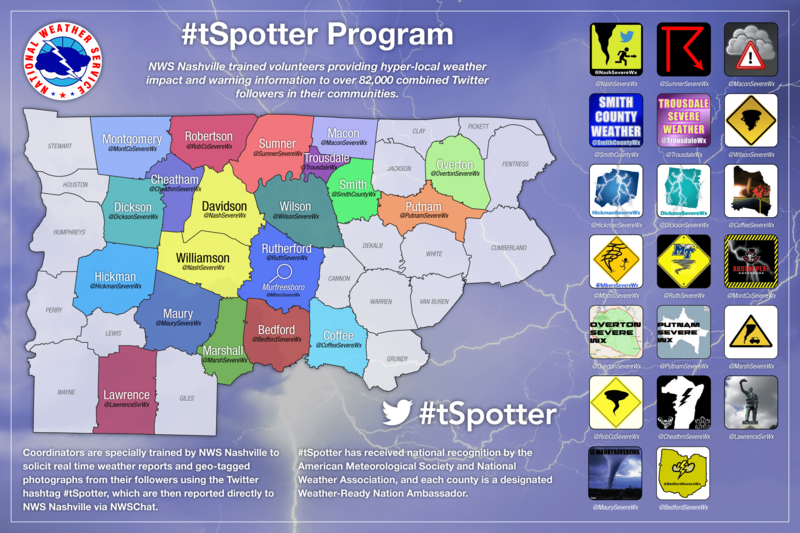 We encourage you to follow us (or create an account and follow us) to keep up to date on weather impacting our county and to send us any weather reports in your neck of the woods. We are also the same people behind @HickmanSevereWx on Twitter.